It’s a good idea to put your boxes up on pallets. This prevents past from making a home in your boxes. It also can help with potential flooding if your storage unit helps be outside and on the ground level. It will help to visualize the space before you start packing it so that you can arrange your pallets accordingly. The goal would be to create pathways between the boxes that allow you easier access to them. 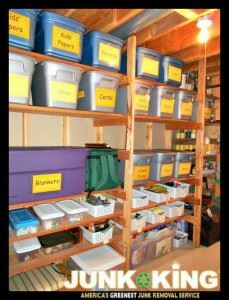 You can put up shelving units in addition to the pallets to organize your storage unit. Again, it all comes down to a matter of accessibility. They will come a time when you might want to get a one of the boxes and you want to be able to find it without pulling everything out. If you are storing large mirrors then they should be carefully wrapped in moving blankets and stored standing on end, never flat. You probably should stack boxes any hire then you can reach them. The heavy boxes need to be on the bottom. If you know you’re going to be taking items out like holiday decorations, then those should be the last thing in, so they can be the first ones out. You can utilize the empty space in your own furniture that you’re putting in storage. For instance, a refrigerator that has been cleaned out and is totally dry makes a perfect place for a few boxes. The same can be said for an old armoire. If you’re putting suitcases in storage, then fill those up with some items as well. As you move items from your home into the storage unit, you don’t want to bring clutter with you. That’s just paying to rent space for junk. Instead, turn all that clutter over to Junk King Los Angeles. These are the professional junk haulers who will quickly make your unwanted rubbish disappear. Getting rid of that clutter could cut the things you want to put into storage in half. A rubbish removal session from Junk King Los Angeles is what you need to organize your storage unit. This entry was posted in Los Angeles Junk Hauling and tagged Junk King Los Angeles, organize, rubbish, storage unit on July 25, 2017 by Junk King. Last updated July 25, 2017 .